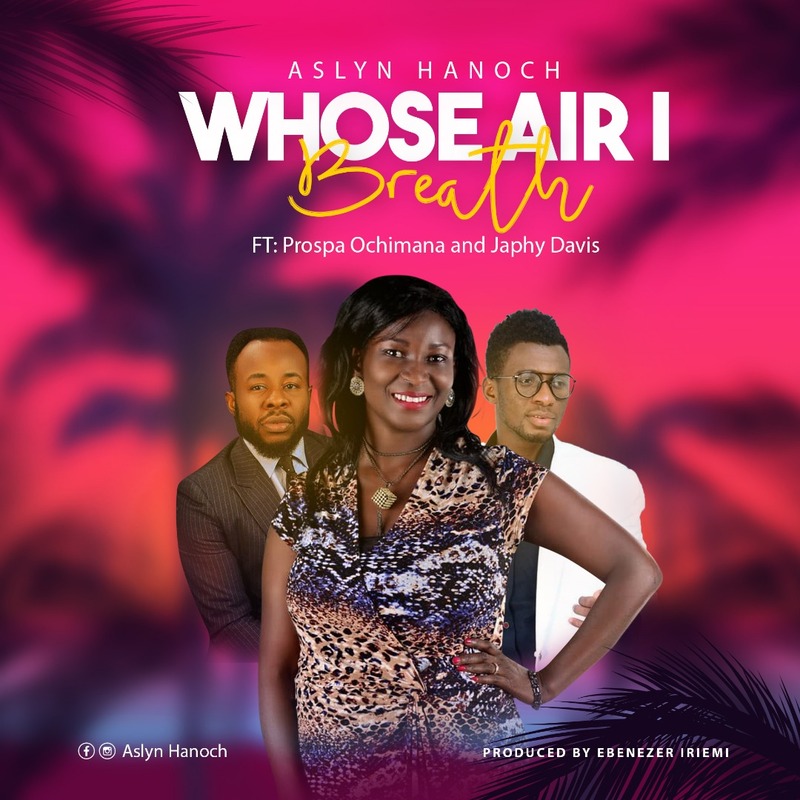 Dynamic vocalist and gospel act, Aslyn Hanoch releases new song titled Whose Air I Breath featuring Ekwueme cronner Prospa Ochimana and Japhy Davis. Psalmist Aslyn Hanoch is a song writer, soloist, praise and worship leader for over three decades. To her credit she has ministered within and outside Nigeria and she a blessing to so many around the globe. She is a mother, mentor to so many in the music industry and is still inspiring more, she also has features on stage in live recordings and ministrations with the legendary gospel apostle ,Dr Panam Percy Paul. She currently reside in Abuja Nigeria, she believe a true gospel minister should be word addicted and looks forward to be a blessing to any where God will lead her in life. She is currently working on her latest album.